MindMap practice labs and 1 case study. of datasets and case studies. Business Analytics domain is an everlasting technology which was initially implemented only in Financial Services, Banking, Pharmaceutical, etc but in recent times it has been realized that smart decision can only be taken thru data based analysis and research – Be a start up or a BIG MNC from any sector they are investing in huge amounts in gathering the available data and make smarter and efficient decisions. Analytics is the art and science of extracting valuable insight from the enormous noise of data. Analytics is a systematic application of statistics, computer programming and operations research for unearthing, interpreting, and communicating meaningful patterns and trend in data in order to make informed and intelligent decisions to gain competitive advantage. In this age of information data is the biggest asset in an organization possess. The computational power along with the development in statistical techniques has helped in transforming data into invaluable knowledge guiding decisions and strategies delivering unprecedented performance improvements. 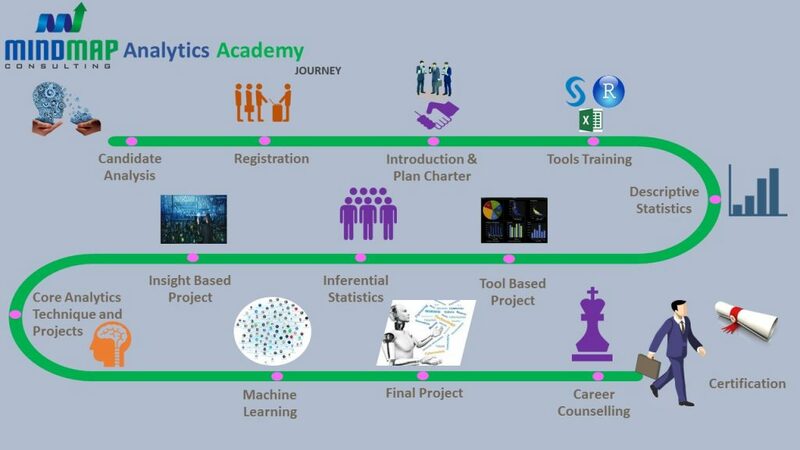 Analytics is a multidisciplinary field with its application in almost all frontiers. Study of genetical pattern for early detection of potential. Text analysis for understanding customer sentiments. Targeted Advertising and recommender selling on all online stores. Logistic organization like DHL and UPS use it for to design optimal route plans. Business organization use it for predicting sales and customer behaviors. With unlimited and unparalleled scope opportunity in Analytics is gigantic. PROC UNIVARIATE, diagnostic statistics from REG . Time Series and Forecasting More.. N.A., only for Professional and Data Scientist Training. History of machine learning and current trends in industry. What is machine learning: supervised and unsupervised learning. What to expect and not to expect from machine learning possibilities. SVM (Support Vector Machine) More.. 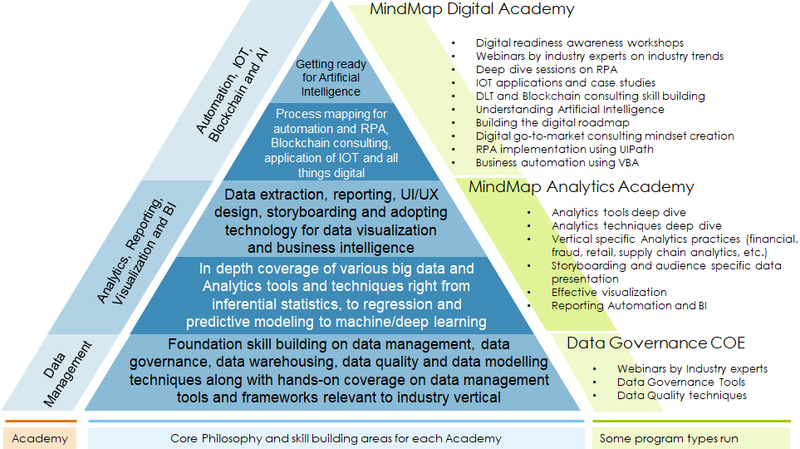 IT or Technology professionals who want to transform their career to techno-analytics roles in the industry by adding business analysis as a skill set. 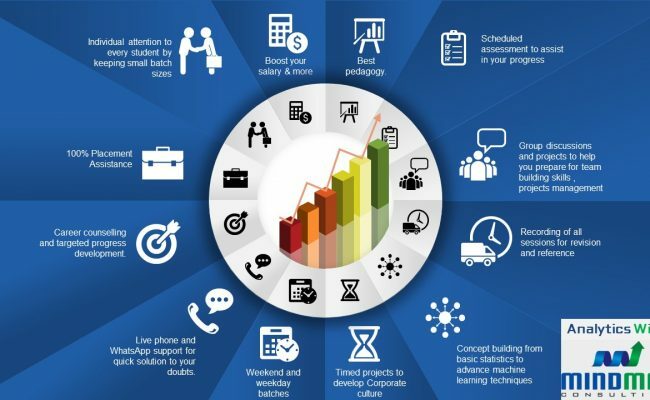 Business leaders or Entrepreneurs who want to take advantage of on the techniques and tools expertise to scale their business units to new heights. Mid-career professionals Looking to improve competencies and launch their career into greater roles guided by data driven Decisions. Freshers and budding professionals to make the right beginning in their career. Building Domains to Enhance Careers! Predict future sales volume and pattern with the help of Analytics to manage. Supply change and product dynamics better with application of linear regression. Application of Analytics to determine the creditworthiness of customers and determination of credit score. whether they be issued a credit card or not.